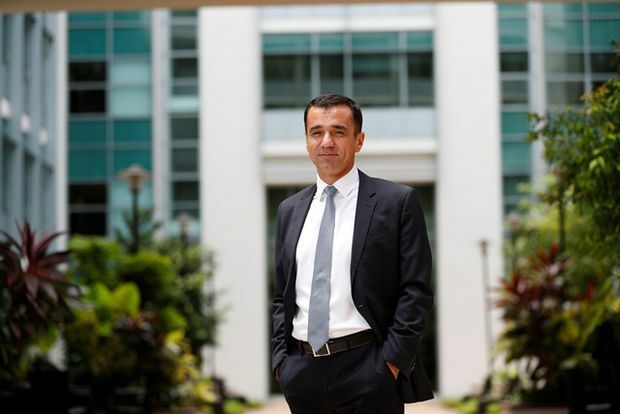 INSEAD dean Ilian Mihov says there's more to business than the bottom line. 'We want people and business leaders to continuously think about how their decisions create value for the company but also [to assess] what is the impact for society and the environment,' he says. Global business schools typically look for ways to stand out from the crowd. Among them is France’s INSEAD graduate business school, with campuses in Paris, Singapore and Abu Dhabi, which has placed either first or second over the past three years in the Financial Times international ranking of MBA programs. But on graduating a new generation of leaders who understand bottom-line issues and their impact on society, no business school holds, or should hold, the monopoly on delivering such training, says INSEAD dean Ilian Mihov. “It should not be differentiated; it should be what all business schools do,” he told The Globe and Mail while in Toronto for the recent and inaugural Business as a Force for Good Award ceremony, sponsored by the school’s Canadian alumni association with funding from INSEAD’s alumni fund. “I don’t view what we do here as a way to differentiate INSEAD from other business schools,” he adds. As his school embarks on an ambitious $376-million global fundraising campaign by 2023, Dr. Mihov envisages INSEAD graduates as contributors to solving complex business and social problems. Several Canadian business schools have staked out similar ambitions. For example, the University of British Columbia’s Sauder School of Business is a signatory to the Principles of Responsible Management Education that endorses implementation of the United Nations 2030 Sustainable Development Goals calling for environmentally conscious prosperity and an end to extreme poverty. The school recently added a centre for business ethics and new courses on corporate social responsibility and sustainability. Interviewed prior to release of the plan, Dr. Helsley cited a group of Sauder faculty now focused on ethics and sustainability, drawing on various disciplines examining pro-social marketing and behaviour (such as changing consumer choices for a greater good) and environmental economics. “It’s an interesting new cluster for the school and very important for me in terms of how I think about [Sauder’s] purpose and mission,” he says. At INSEAD, or Institut Européen d’Administration des Affaires, the school last year introduced required courses on business and society, with environmental sustainability, tax evasion and the rise of inequity among the topics for discussion. Last fall, the school opened its Hoffmann Global Institute for Business and Society to examine decision-making that incorporates value creation and social impact. At the World Economic Forum in Davos, Switzerland this week, the Institute sponsored sessions for business leaders and academics on implementation of the UN’s sustainability goals. Pressure is mounting on business schools to bring a holistic approach to management education. Blending bottom-line and social impact is one feature of INSEAD’s “master strategist” day, part of a business strategy course. Last fall, student teams analyzed sustainable funding options for a network of South African health clinics that operate out of recycled shipping containers to deliver care by trained nurses in rural areas. With the Hoffmann Institute, 20 INSEAD students travelled to South Africa this month to implement the best ideas from the master strategist day to help the network expand its services within its budget constraints. “It’s one example where you learn strategy, help solve strategic problems but implement them in a way that has a very big impact on this society,” says Dr. Mihov, of the annual event, noting 15 million South Africans are without access to basic health care. The opening of the Hoffmann Institute was one impetus for INSEAD’s 950-plus alumni in Canada to establish a Business as a Force for Good Award, says Canadian alumni association president Magali Depras, a graduate of INSEAD’s executive education program in 2007. The awards event recognized five companies, from startups to established national firms, for their sustainable business strategies, with Canadian green energy retailer Bullfrog Power named the overall winner. Ms. Depras, chief of strategy for TC Transcontinental in Montreal, says the Toronto event quickly attracted attention from other INSEAD alumni associations seeking to replicate the award in their own countries. “I was really pleased to see that our Canadian idea is becoming a global idea,” she says. Despite public cynicism that has escalated since the 2008 global financial meltdown, Ms. Depras sees business (and business schools) as part of the solution. Dr. Mihov also sees the corporate sector as a central player in solving big social issues, including income inequality. “The only engine of economic growth in the long run is business creation,” he says. But he is candid about the difficulty of measuring success. “The key objective is to change social norms and change what we view as acceptable in doing business,” he says.